The broad objective of urban design could be stated as organising the urban environment to ensure it supports human occupation in an effective and responsible way. This can be about many aspects: promoting economic turnover, maintaining the health of its citizens, inspiring civic pride, responsibly managing resources, accommodating populations, keeping citizens safe or providing the territory for the social lives of the populace. 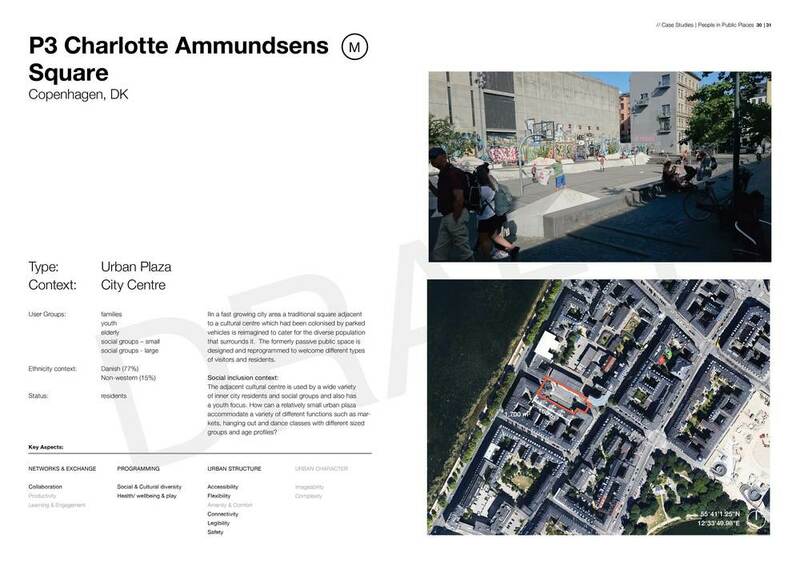 The research and findings contained within this document are mostly concerned with this last aspect – the territory of the social happenings of the city, the public realm. In particular the research has been designed to help the Metropolitan Redevelopment Authority of Western Australia (MRA) ensure that its public realm projects of the future are broadly appealing to the citizens who will use them and avoid exclusionary practices. People in Public Places lies somewhere between a report and a manual and is a document which has taken on a relatively complex task in attempting to bridge the relationship between design and the social ‘performance’ of public places.